With over 370 million records sold worldwide, Abba are undeniably one of the best selling artists of all time, and now Abba's music has reached a whole new generation as people ﻿around the world have fallen in love with the timeless hit songs from the supergroup, thanks to the global smash hit musical, Mamma Mia! Mamma Mania! is a stunning musical biography capturing the Abba story from Eurovision to the smash hit show and movie Mamma Mia! A critically acclaimed show that has been performed to sell out audiences in the UK, Ireland and internationally for over 10 years. Mamma Mania! is the UK version of the hugely successful Abba Elite tribute show, based on the Costa Blanca, Spain and is the ultimate feel good show that adds a bit of glitter and glamour to any function or event. Guaranteed to get the audience dancing and singing a long with a LIVE BAND, flawless harmonies, authentic Abba costumes and choreography and a dramatic lights show. The show is performed by world class singers and musicians who have toured in theatres and shows throughout Europe. With meticulous attention to detail, Mamma Mania! 's portrayal of Agnetha, Benny, Bjorn and Anni-Frid really are second only to ABBA themselves! Mamma Mania! Abba Tribute and Abba Elite have now been performing for over 10 years! (That's as long as the real Abba performed together!) making them one of the most successful Abba tribute shows to date. Mamma Mania! 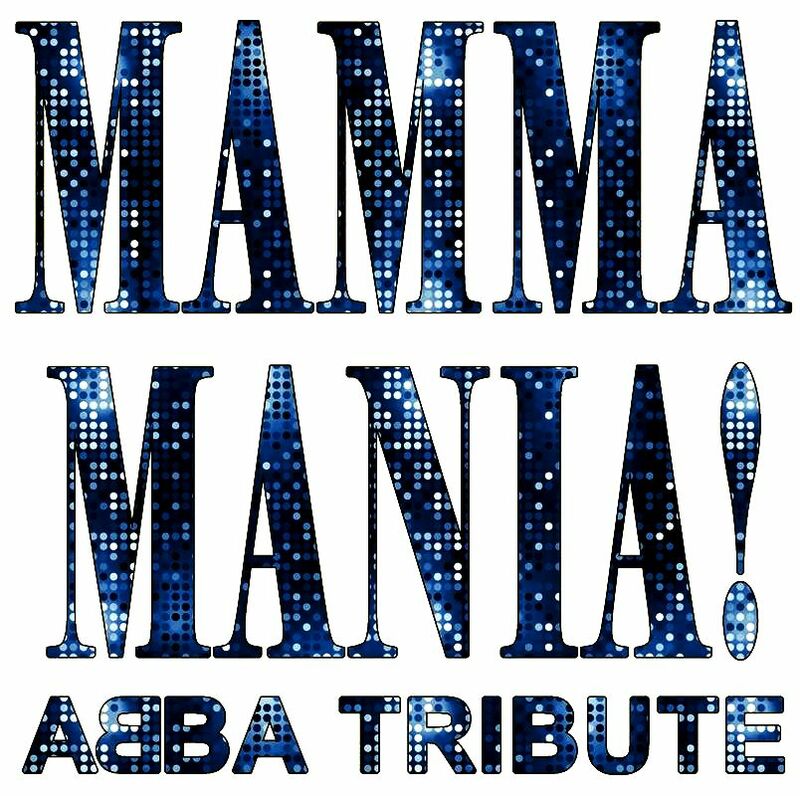 recreate and perform all the classic Abba songs you know and love, from Waterloo, Abba's international triumph, to Dancing Queen and of course Mamma Mia! Take a look at the Mamma Mania! testimonials to see why you should book them for your next event. Mamma Mania! are proud to perform in small intimate venues whilst having the ability to attract audiences for large auditoriums and outside arena events. Take a look at the different Abba tribute shows on offer below. All shows include a full PA set up and a dramatic light show provided by our very own Lights and Sound Technician. Background music can be provided as part of the service, as can a DJ, for an additional fee. We are based in Wigan, Lancashire, and mainly perform throughout the North West, however we travel further afield on request. We can also provide a DJ/ Presenter/ Lights and Sound Technician. Check out our blog for Mamma Mania! News.
" Mamma Mania! is a show that fills dance floors and leaves the audience shouting for more"
North West: Lancashire, Greater Manchester, Cheshire, Merseyside, South Cumbria, North Wales, West Yorkshire, West Midlands, Warwickshire. Isle of Man, Fly backs abroad. Short cruise contracts.